These little leaf lanterns were a breeze to toss together and look great as a part of my Autumn mantel decorations. 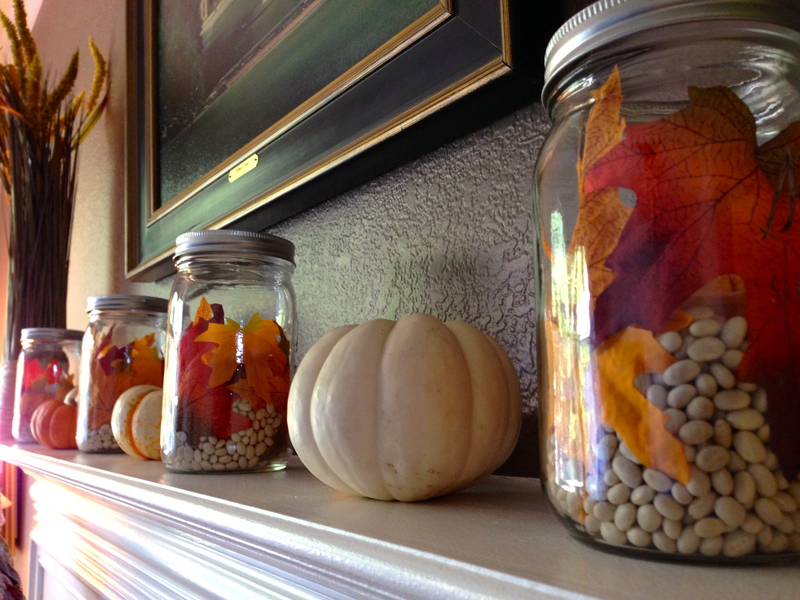 Begin by arranging a few leaves against one of the inner sides of a Mason jar. Carefully pour in a few of the dried beans – just enough to hold the leaves in place. Continue working your way around the jar, adding leaves and beans, until you have added as many leaves as you like, and the jar is about half full of the beans. 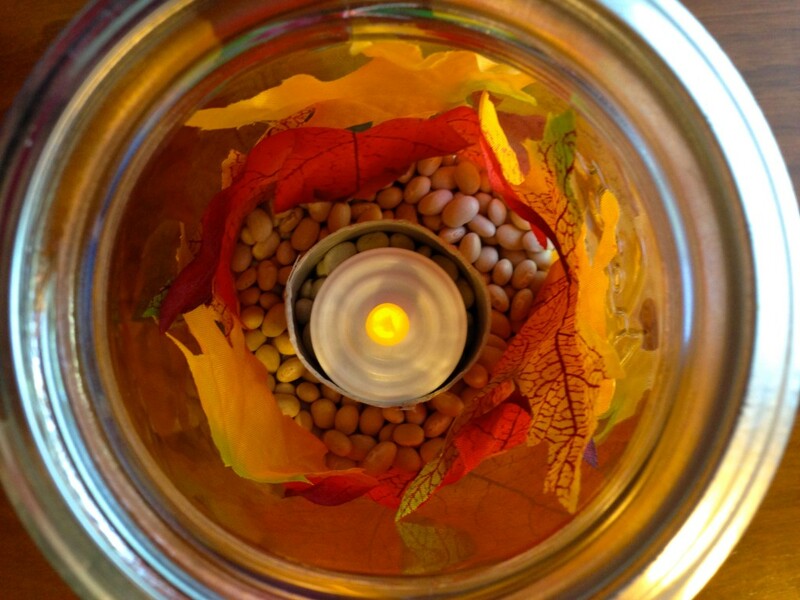 Once you have finished arranging your leaves, center 1/2 of the toilet paper core in the jar, and press it down through the beans. This acts as a candle holder for your tea lights, and makes it easier to take them in and out of the jar. If you like, you can screw a lid ring onto the jar for a more finished look. Turn on your tea light, and place it in the center of the toilet paper roll. Enjoy! One of the bonuses that I really like about this project is that the Mason jars are not permanently altered, so once the season is over, I can empty them out and use them for something else! One Response to "Leaf Lanterns"
The best part is they look really good! Thanks for making the house look so nice in the fall.